Monday- Friday: 8:00 a.m.-4:00 p.m.
For more information, contact us at (724) 627-9784 or email Director@CCFB.comcastbiz.net.. The mission of Corner Cupboard Food Bank, Inc., is to feed hungry people by soliciting and judiciously distributing food and grocery products through a county-wide network of food pantries and agencies, and to educate people about the nature of and solutions to the problems of hunger. 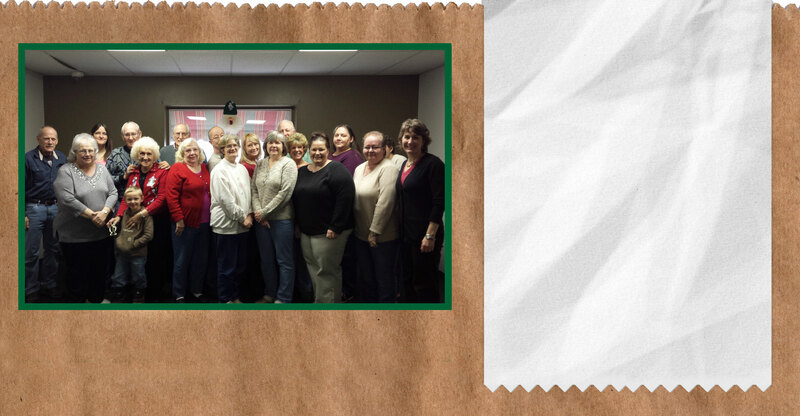 Corner Cupboard was founded in October 1992, to address the needs of the hungry population in Greene County. Our humble story begins in the basement of the County Office Building with a dedicated handful of volunteers who hand loaded every order. As it became clear that Greene County residents would not turn away from their neighbors in need, we outgrew our location. Thanks in part to the donation of land by the County Commissioners and a capitol campaign which raised over $300,000 to build our facility, we eventually settled in at 881 Rolling Meadows Rd, Waynesburg. Today, over 20 years later, Corner Cupboard has increased capacity to feed well over 2000 people every month, through a network of 11 pantries throughout the county. With the dedication of 2 full-time staff members, 11 Pantry Coordinators, 8 Board Members, and over 150 Volunteers, Corner Cupboard is truly a community effort of “Neighbors Helping Neighbors”. We are located between the Greene County Historical Society and the Greene County Jail. Take Exit 14, and head towards Wal-Mart. Turn Right onto Murtha Drive. At the end of the road, turn left onto Rolling Meadows Rd. In a half-mile turn left into our driveway.